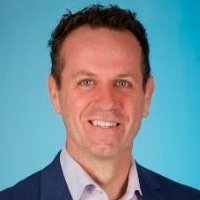 Copia Investment Partners has appointed Anthony Pesutto to the position of general manager, marketing in its Melbourne office. Mr Pesutto will report to chief operating officer Sam Cole and will be responsible for the marketing and communications of the fund manager and its investment partners OC, Ralton, Vertium and Chester. Mr Pesutto has over 22 years of experience in the industry and was previously head of Zenith’s marketing and communications and Legg Mason’s before that. Mr Cole welcome Mr Pesutto to the team and said he looked forward to growing the company together. Copia has a distinct role in the adviser industry said Mr Cole and part of the role of Mr Pesutto would be to articulate the managers’ capabilities.